GeForce GTX 1660 uses NVIDIA Turing framework that owns groundbreaking picture performance. By performance that is superior than GeForce GTX 1060 6G, it presents more powerful and swift game experience of those popular games. It can even be much faster than new generation games. Turing shader supports floating point and integer arithmetic concurrent execution. By adopting self-adaption shader technology and new integrated memory architecture, it boasts surprising performance improvement in the current games. Benefiting by Turing architecture, amazing performance can be gained in games requiring higher needs. Simply press one button to achieve the overclocking performance. We add a new overlocking indicator light, to give you better interactive DIY experience. The TDP of GeForce GTX 1660 is only 120W. 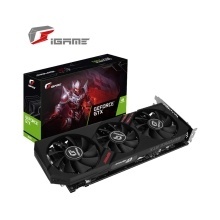 For users using old GPU (such GeForce GTX 970 or GeForce GTX 960), they can upgrade easily to GeForce GTX 1660 with 8pin graphics card power cable provided. No need to change power supply. GeForce GTX 1660 combines performance, design and energy-efficiency together, which makes it an ideal choice for high performance PC platform. With G-SYNC displayer, it provides game player fluent and low input latency. Game platform based on GeForce GTX 1660 + G-sync displayer provides great power for PUBG game. It has excellent performance and picture quality when doing live streaming. The hardware encoder efficiency of GeForce GTX 1660 graphics card series is 15% superior than last generation. It also optimized targeting on Open Broadcaster Software. Catch and share video and screenshots with friends; automatic drive upgrade; optimize game settings. GeForce Experience is quite comprehensive that would be your ideal graphics card companion.